We Live In A Political World: #241 / Whom Do The Plutocrats Fear? #241 / Whom Do The Plutocrats Fear? Whom do those plutocrats fear? Well, they don't fear Bernie Sanders, according to Caitlin Johnstone, who calls herself a "rogue journalist." I am commenting, today, on Johnstone's blog posting from August 20, 2017. Johnstone titled her piece, "Bernie Would’ve Won … And He Wouldn’t Have Been Much Better." I don't agree with Johnstone's statement that Bernie Sanders wouldn't have been much better than Donald J. Trump. You can read her pitch and make up your own mind. I do agree, however, with something that Johnstone said in her blog. I think it's worth repeating. It's worth keeping in mind. 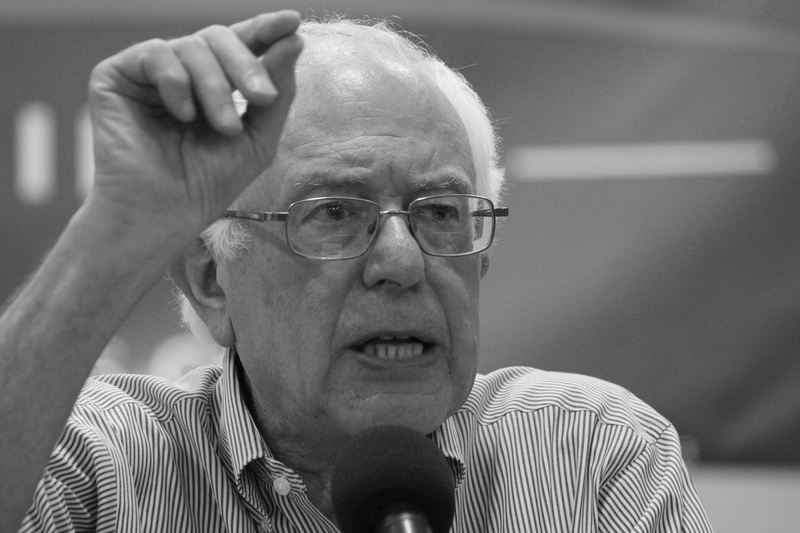 [Sanders] would have ... used the bully pulpit to fan the flames of a real revolution. This is the only reason the plutocrats pushed to sabotage his election. They were never afraid of Bernie, they were afraid of the people. They were afraid of you. That "you," I think, is the plural form. So to restate it: the plutocrats aren't afraid of "you" (singular), and they're not afraid of "me."